In data center cooling technology, Lenovo has led the evolution from energy-saving concept to performance enhancing and energy reuse reality. 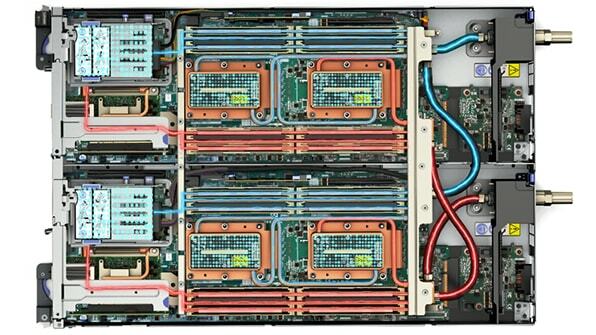 Lenovo Neptune™ embodies our holistic view of liquid-based cooling in the data center. This approach utilizes multiple liquid-based cooling technologies that efficiently extract heat from computer systems. Lenovo Neptune also employs software and monitoring tools to effectively manage and control the cooling environment. In 2018, Lenovo Neptune™ technologies received an HPCWire Editor’s Choice Award for assisting the world’s largest non-accelerated, general supercomputer, SuperMUC-NC at LRZ, in becoming the most energy reuse effective computer in the world. Lenovo Neptune™ tackles head-on the problem of traditional data center cooling in which every component inside the system produces heat. Heat is, of course, the mortal enemy of sensitive circuitry and causes shutdowns, slower performance, and data loss if allowed to accumulate. Utilizes water piped directly into the system unit to cool components, instead of using system fans and chilled air. Lenovo has been a pioneer of Direct to Node liquid cooled technologies since 2012. Lenovo’s ThinkSystem SD650 utilizes warm-water cooling to remove heat (up to 50⁰C) from the CPUs, memory, IO, local storage, and voltage regulators. Superior heat conducting efficiency of water versus air allows critical server components to operate at lower temperatures compared to standard air-cooled systems. Brings water to the rack to reduce heat, making it room neutral to up to 30kW or supporting up to 40kW. Similar to a car radiator, the RDHX replaces the rear door of the rack and absorbs heat from the exhaust of air-cooled systems. The TTM integrates a hermetically sealed liquid filled heat pipe inside a traditional heat-sink. 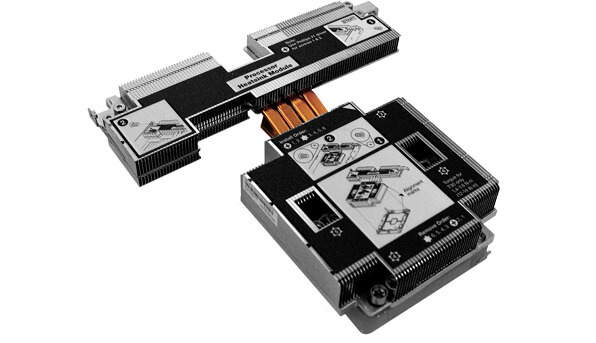 These TTMs are deployed in our air-cooled ThinkSystem SD530 in order to allow us to run higher wattage CPUs over traditional air-cooled systems. EAR offers energy conscious organizations a robust and transparent solution with minimal performance overhead. The SLURM plugin was developed in partnership with Barcelona Supercomputing Center to improve energy consumption in large datacenters and HPC clusters.